Tense relationships between Ukraine and Russia it is not something which emerged in 2014. Over several centuries, Ukraine experienced the cruel “care” of its northern neighbor. The names changed: first, it was the Russian Empire, then, the Soviet Union, and now, the Russian Federation. However, alterations of the name do not change the meaning. Russia never stopped being an empire. Nadiya Savchenko, Oleksandr Kolchenko, Oleg Sentsov and others are by far not the first Ukrainian political prisoners of Russia. The nature and the history of the relationships between the two states in the 19th century can be learned based on the story of one man named Taras Shevchenko, a poet, an artist and one of the main symbols of independent Ukraine, despite the fact that he did not live to see his country’s independence. In Ukraine, Shevchenko’s days are commemorated in March 9-10, as 9 March 1814 is the day of his birth and 10 March 1861 – his death. Let’s start our story a bit earlier, in the second half of the 18th century, when Yekaterina II was empress of the Russian Empire. Right after the Russian-Turkey wars and the three partitions of Poland, the Russian Empire took over the majority of Ukrainian lands (except the westernmost regions – Galicia, Bukovyna, and Transcarpathia). The policy of Yekaterina II (also known as Catherine the Great) was aimed at the total liquidation of the autonomy of Ukraine. For Ukrainians, the consequences this person’s rule were rather tragic. It was Yekaterina II who legalized serfdom on the territory of Ukraine. She was actively implementing the policy of Russification and secularization, during which the Ukrainian Church was harmed. After the Russian empire engulfed the territory of Right-bank Ukraine, her policy was also aimed at eliminating the Greek-Catholic church. Taras Shevchenko who was destined to became a symbol of Ukrainian nation was born almost 20 years after Yekaterina II died, however her policy of destroying Ukraine as a nation was alive and kicking. Shevchenko was born in the village Moryntsi (now in Cherkasy Oblast of Ukraine) in a bond family, but in early age he became an orphan. He experienced a lot of derision from the cantor who used to teach him, so that Shevchenko ran away from such a teacher and started to serve to a landowner Pavel Engelghardt. Since his childhood, Shevchenko showed himself as a talented painter. So when he had to move to St.Petersburg together with his overlord, he was sent to learn drawing. One day, practicing his skills in a park, Shevchenko met the artist Ivan Soshenko who got him acquainted with local artist circles. New friends helped releasing the young artist from serfdom. One of them drew the portrait of Vasyl Zhukovsky (a mentor of the heir to the throne) and auctioned it off. The money was used to buy Shevchenko out of serfdom. That is how the story of a bondman was over. Taras Shevchenko started to write versicles in St. Petersburg. In 1840, a collection of his poetry titled Kobzar was published, and a year later, the poem Haydamaky. His first poetries were written in the spirit of romanticism. The topics were devoted to an exaltation of the past and yearning for it against the background of disgraceful modernity. Another topic was the suffering and death of a humiliated girl and describing of the beauty of nature. However, all these stories had a deep national meaning. His first works were met positively. The only negative feedback he received from a critic Vissarion Belinsky who derided the attempts to raise Ukrainian “peasant” language to the level of classical literature. In 1843, 1845, and 1846 Shevchenko visited Ukraine. These trips had a big influence on his views, work and life. During them, he visited his native places, got acquainted with local landowners who were interested in culture and supported its development. In Kyiv, he met Ukrainian intellectuals. In 1845-1846, he received a temporary position of a member of Kyiv archaeological commission which gave him an opportunity to travel across Ukraine, collect historical documents, ethnographic materials and describe architecture and archaeological sites. In Ukraine, Shevchenko fully experienced the suffering of his nation and its social oppression. It awakened his inner protest against Russian supremacy and serfdom. His next works are penetrated with the motive of national liberation. At that time, Shevchenko rose to the level of a national prophet by his poetry. His political views were close to a secret Ukrainian organization, the Brotherhood of Saints Cyril and Methodius, so he joined its revolutionary wing. His personality could not have left been unnoticed by Russia’s rulers. In 1847 he was arrested and sent to St.Petersburg. During the month and a half of the investigation he wrote 13 poetries. Shevchenko was considered to be the most dangerous political offender and was punished the most strictly because of “writing of poetries in Malorusskiy [Little Russian] language with a very outrageous meaning.” He was sentenced in Orenburg Special Corps where he was forbidden to write and to draw. The overall duration of his sentence was ten years long. During it, periods of hard treatment were mixed with times of softening due to the support of some officers. They let him leave the barracks and live with them to teach and draw portraits of members of their families. Despite the prohibition to draw and to write, the exile period was fruitful for Shevchenko. He managed to hide his work in his shoes. During this period he wrote many poems. Also he created around 20 novelettes in Russian (only 9 are left) and painted a series of paintings named The Parable of the Lost Son where he denounced the cruelty and inhumanity of the Russian political regime in allegorical way. After the death of Nikolay I (March 1855), there regime became somewhat more liberal and Shevchenko’s friends managed to release him from soldiery and to receive permission to live in St.Petersburg (albeit under strict police control). He moved to the city in 1858 and again became actively involved in its social and cultural life. The same year, he succeeded in lifting the prohibition to publish his works. In the latest period of his work he turned to philosophical and biblical motives (the latter in his interpretation were unorthodox). In May 1859, he received permission to come to Ukraine. However, during June of the same year he was arrested again and forced to come back to St. Petersburg where until his last days police was secretly controlling him. Difficult days in exile, emotional stress because of histhoughts about the fate of Ukraine, and illness were the cause of Shevchenko’s early death on 10 March 1861. Taras Shevchenko’s significant role in self-identification of Ukrainian nation has two aspects – political and cultural. His poetic language was based on his local village dialect with additions of Church Slavonic language, vocabulary from Kozak chronicles, and words he created himself. By giving Ukrainian the status of a literary language, he set the basis for modern Ukrainian literature and raised the question of Ukraine’s national identity. His poetry gave the prospective of future independece of Ukraine. He placed the main guilt for Ukraine’s enslavement on the Russian Empire and its emperors, rejecting the idea of Ukraine as “Malorossia” [Little Russia] and the perceived indivisibility of Little and Big Russia. Soviet authorities used the personality of Taras Shevchenko for their own purposes – in particular, to legitimize their power. Before the beginning of the revolution in 1917, leaders of Bolshevists party formally were in sympathy with Ukrainians celebrating Shevchenko’s days, seeing this events as one of the manifestations of the struggle against Russian autocracy. In 1917-20, during the establishment of the Bolshevists’ authority, portraits of Shevchenko and also his books were interpreted as signs of “bourgeois” nationalism and often were eliminated. However, after Soviet occupation of Ukraine, the new authorities started incorporating the image of Shevchenko into the system of Soviet ideological values. He was described as “a poet of country people,” a “revolutionary democrat,” “atheist,” and “singer of friendship between the two peoples (Ukrainians and Russians).” Only the social motives of his writings were scrutinized. All the national motives were ignored. New issues of his works were censored – all parts with meanings which did not fit into the Soviet ideology were removed or misinterpreted. To empathize his ideological similarity to the Soviet authorities, Shevchenko State awards was established in 1961. Nevertheless, the Soviet regime did not manage to eliminate the Ukrainian patriotic ideas of the poet. Shevchenko became one of the main inspirations of the resistance to the Soviet system in Ukraine. His martyr fate became an example of firmness for political prisoners in the Soviet prisons and sentences, and his work – an impetus for the revival of the fight for independence in 1987-91 and a symbol for modern Ukraine after declaring independence. It seems that Taras Shevchenko is still a target for manipulations of the modern Russian regime. 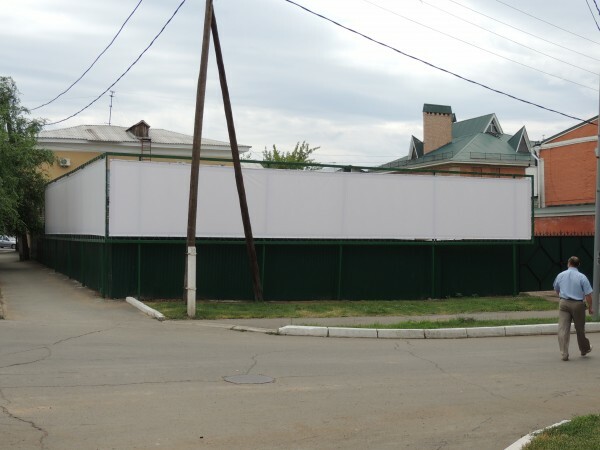 According to the activist, the reason was the ban on holding a rally on the day of birth of the Ukrainian poet Taras Shevchenko in Simferopol, which activists received a few days before. The representative of the Crimean Ukrainian cultural center considered this step as as a method of pressure of Russian security forces. No official statement of the Russian Prosecutor’s Office on the case was available. A few weeks ago, a Russian citizen in Sevastopol (Crimea) started collecting signatures to demolish Shevchenko’s monument. “The monument was established in honor of Ukrainian independence, now we are in Russia,” the women explained. The regional authorities know nothing about the initiative, however if the signatures are collected, they will be considered. 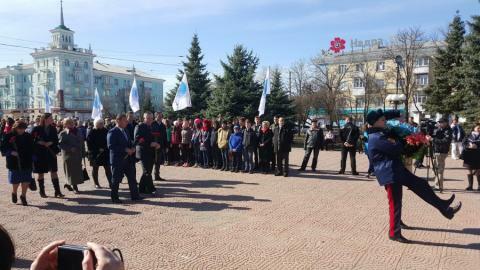 Nevertheless, people in Sevastopol managed to commemorate the day of birth of the poet. They brought flowers and sang Ukrainian songs. 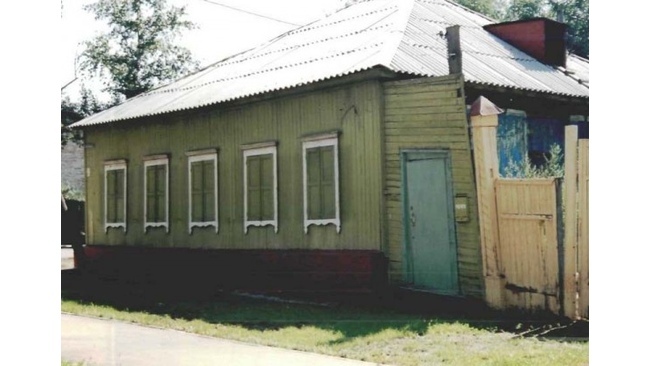 The fate of the house of Shevchenko in Orenburg was determined without any signatures. One day it was just destroyed. Now a parking area for clients from a local bank is organized there. Bloggers don’t allow “forgetting” about the incident, and the police are reportedly searching for people who destroyed the building. A strategy to misappropriate Shevchenko’s works to Russia is chosen by so-called authorities of the “Luhansk People’s Republic” (“LNR”), a self-proclaimed, Russian-backed statelet in East Ukraine. On 9 March, 2016 people there gathered at an official ceremony devoted to the day of birth of the poet. The mayor of the city stated that this person “hailed Russia and Novorussia in his works,” and noted that it is for a good reason that a monument to Shevchenko stands in Luhansk, according to the separatist media Newsfront. But what about the perception of Shevchenko in Ukraine nowadays? It is fair to say that despite the fact he is honored and his personality has become much more contemporary, quite often the attitude towards him remains rather formal. Anya Sologub is a 10th grade student of one of Kyiv’s schools. She cannot remember when she first got to know Shevchenko – his works are learned during all the period of studying at lessons of reading, literature and history. Like many other Ukrainian school students, Anya attends Shevchenko days in school. The girl likes to visit such events, however she admits that it is hard to comprehend his poetry, as it is too sad and heavy. In a minute she adds that almost all the Ukrainian literature is so, because it describes the difficult fate of Ukrainian people. Anya’s teachers usually do not emphasize the links between the fate of Ukrainians described by Shevchenko, the policy of Russian Empire and the similarities of Russian policy nowadays. According to Anya, they do not want to provoke political discussions at all, especially considering the fact that many displaced from the occupied areas of Ukraine are studying in the school. In the end, Shevchenko is presented as a must-know and must-read in Ukrainian schools, because that is what education program is saying, but it is not properly described why is it so. The attitude of Russia towards Ukraine hasn’t changed since the day of birth of the poet 202 years ago and even before. So these lessons have to be learned with accuracy, because, as we observe, they are repeating. Historical information is used from The Handbook On The History Of Ukraine (A-Z): the manual for the secondary school/General edition of I. Pidkova, R. Shust. – the second edition.